John W. MacDonald's Weblog: Elke Inkster, C.M. & Tim Inkster, C.M. Elke Inkster, C.M. & Tim Inkster, C.M. Elke Inkster, C.M. and Tim Inkster, C.M. 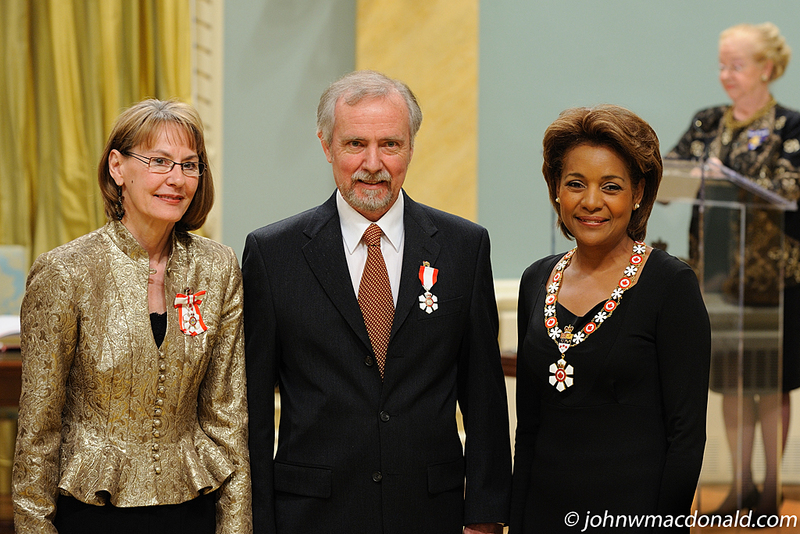 Elke and Tim Inkster have made an important and enduring contribution to Canadian literature. They founded and continue to run The Porcupine’s Quill (PQL). This publishing house is known for its excellence in design and production, and for taking risks with new and unpublished writers. Many of Canada's internationally renowned authors got their start with PQL and credit the Inksters with being integral to their development. Recognized for attention to detail and uncompromising quality in literary and other works, their small press has won numerous awards and has served as an example of publishing excellence at home and abroad. Randolph C. (Randy) Bachman, O.C., O.M.